The kids' clubs are here to be enjoyed! During their stay, your children will be able to let off steam with outings arranged by our organisers, such as rafting, adventure tree-climbing, quadbiking, triathlon and even going up the Pyrenees by bike (for the older children). The little ones, meanwhile, will be taken in hand in the Bricolo-Rigolo area, where they'll enjoy some handicrafts and creative workshops! And every week, playback, karaoke and dancing evenings are held, which everyone loves! Le Talouch is a little corner of paradise for kids, as well as being popular with their parents too! Family camping as you pictured it! Younger children can enjoy holidays designed just for them at the Camping Le Talouch: there are a range of activities on offer every day. The campsite offers a whole host of activities for older children: every day, your children can enjoy the nature the Gers has to offer! The little ones will love it here! 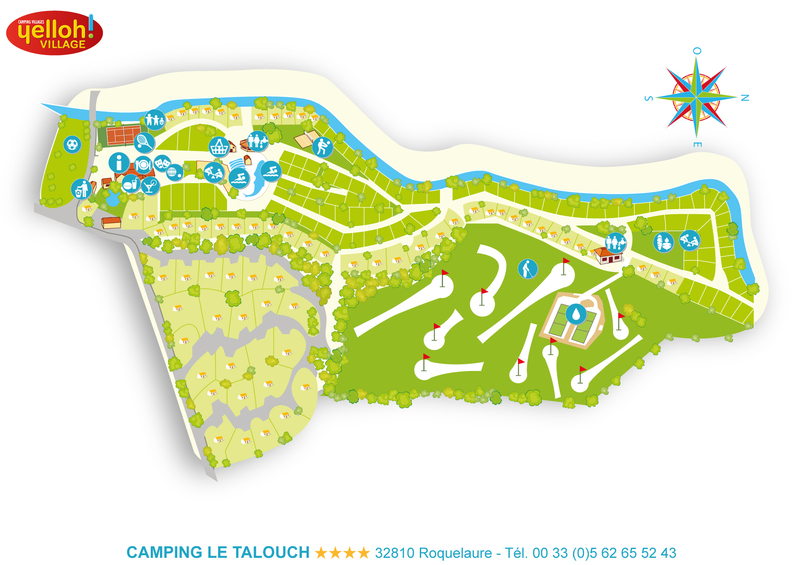 Your little ones will enjoy a bespoke holiday at the camping Le Talouch! Every day, our team of organisers sees to a variety of entertainment. Children will really blossom, enjoying creative and artistic activities in the Bricolo-Rigolo area. They'll be making masks, jewellery, little boats and plenty more! And to let off some steam, the trampoline and bouncy castle will give them endless pleasure! A treasure hunt using GPS will provide them with an introduction to orienteering. And when the evening comes, the girls will have the opportunity to demonstrate their talent at the mini miss elections! Lots of memorable times shared together during your family camping holiday!